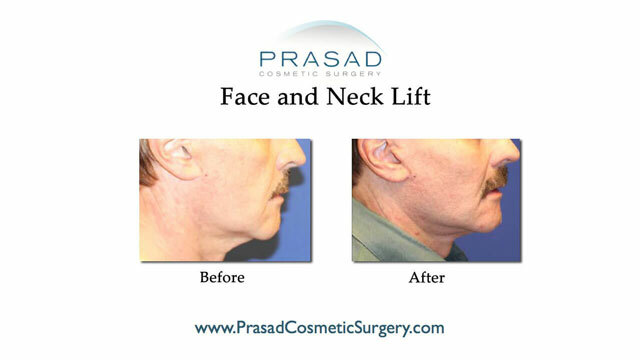 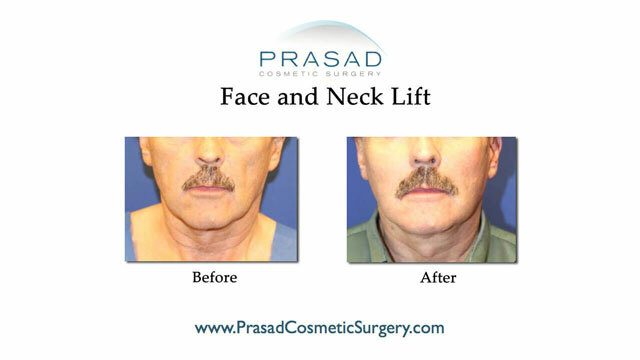 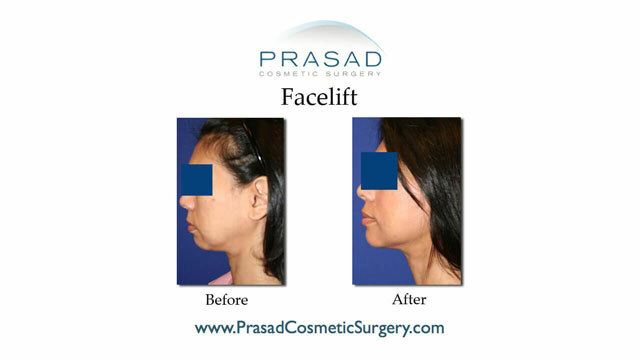 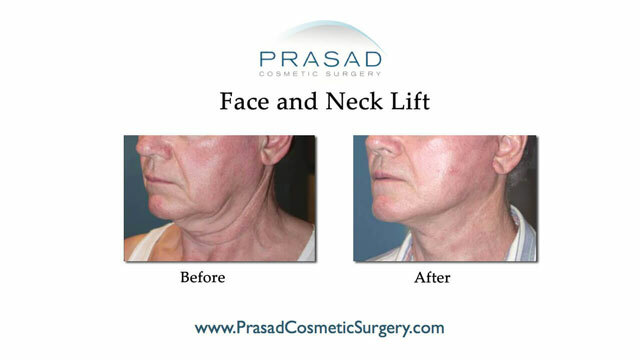 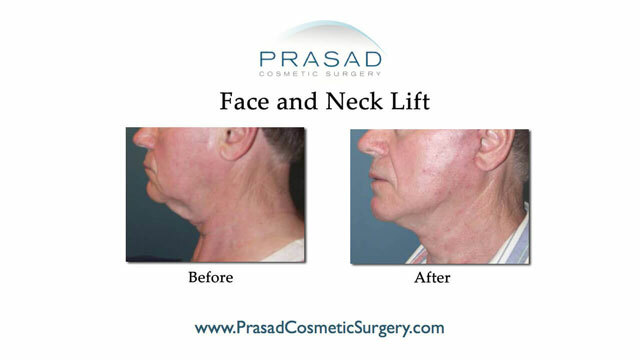 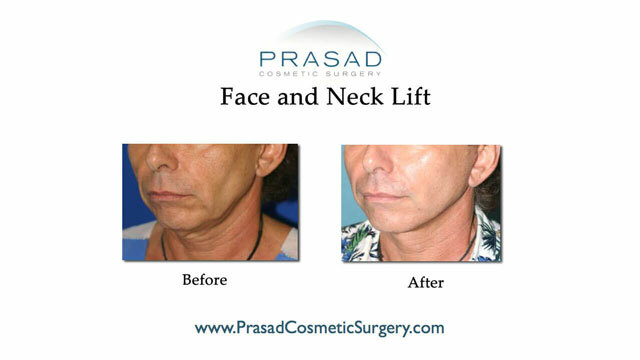 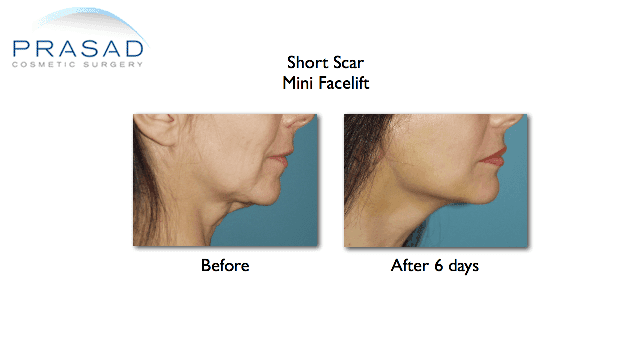 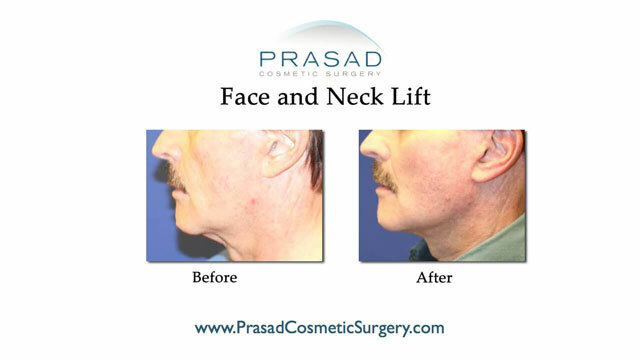 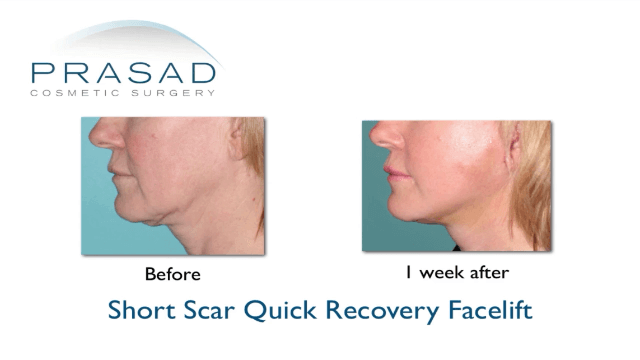 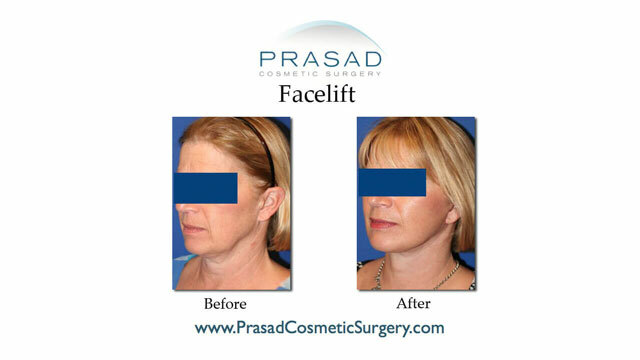 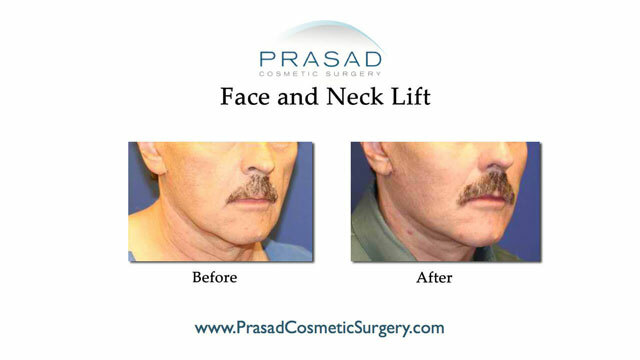 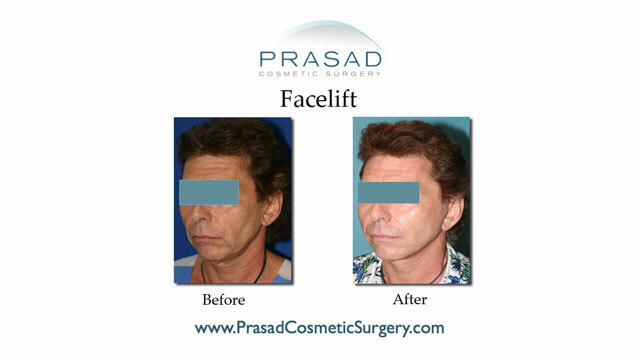 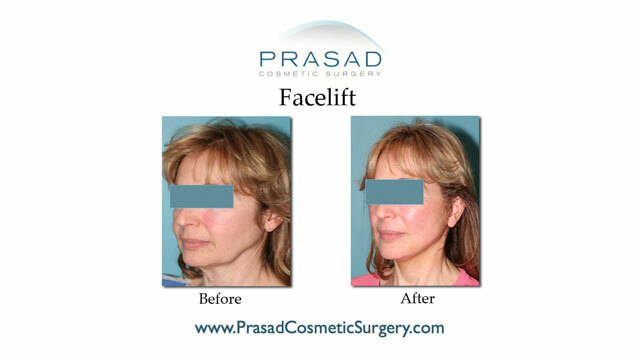 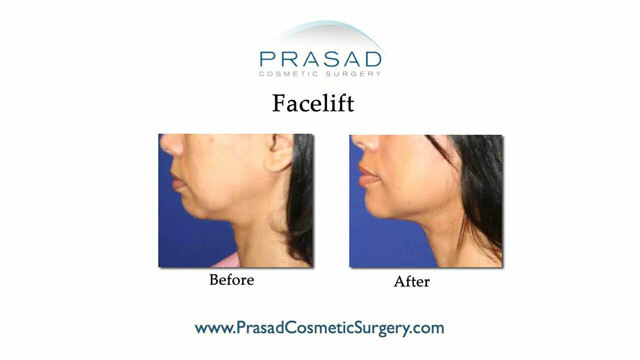 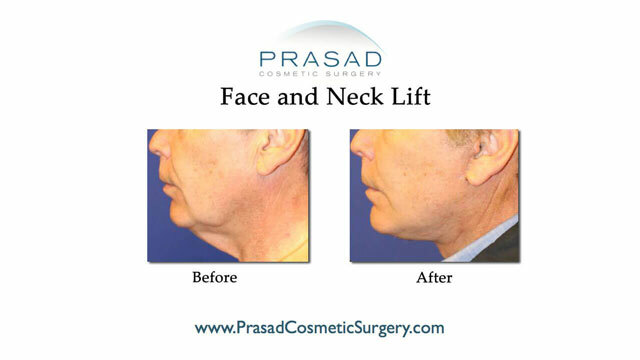 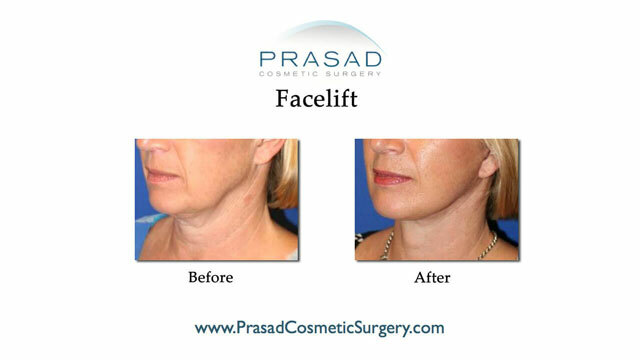 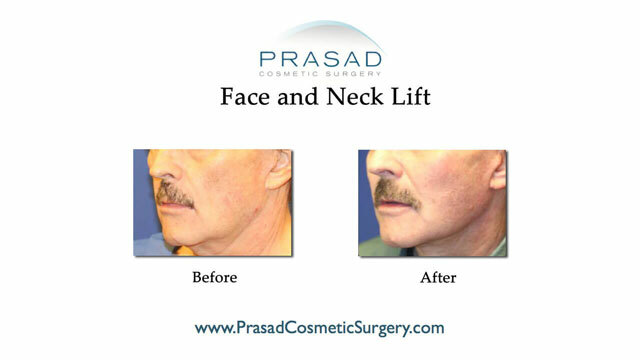 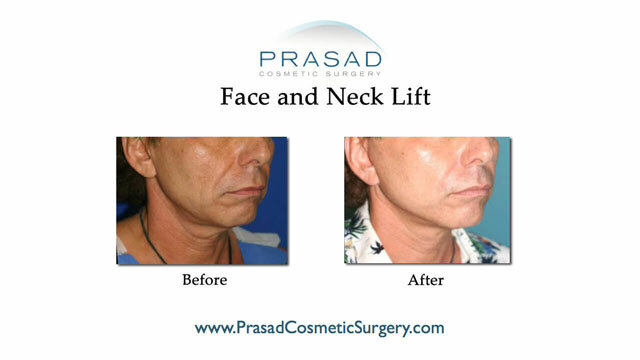 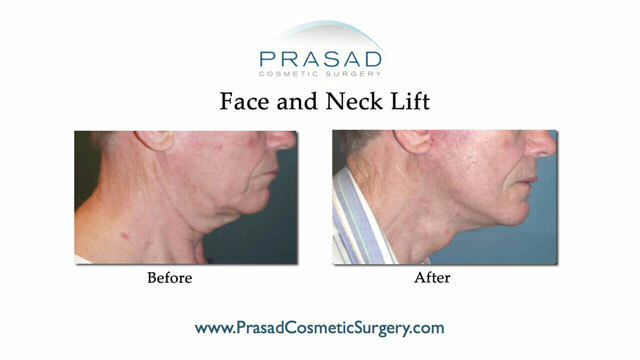 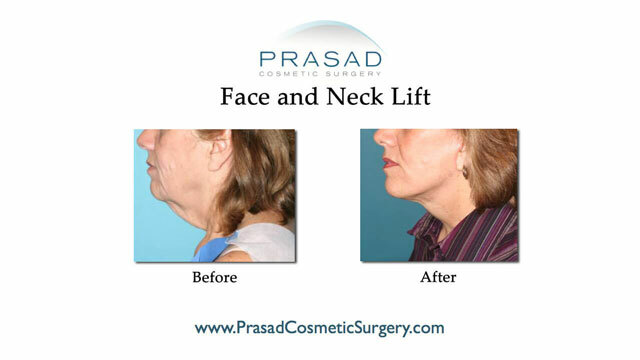 One of the most popular procedures at Prasad Cosmetic is the rhytidectomy, more commonly known as facelift. 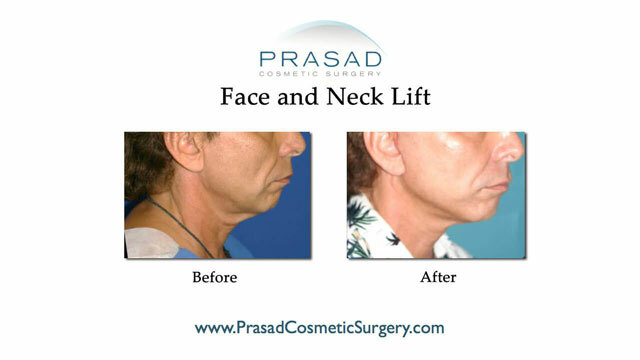 Patients have facelift surgery to regain a more youthful facial appearance by addressing sagging skin and “turkey neck” . 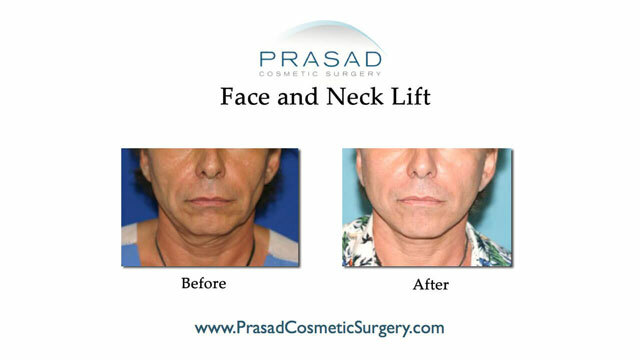 Dr. Amiya Prasad, A leading Cosmetic Oculofacial Plastic Surgeon, has performed face lifts regularly for more than 20 years and has artistically refined techniques to improve sagging skin but also address the overall facial volume loss caused by aging. 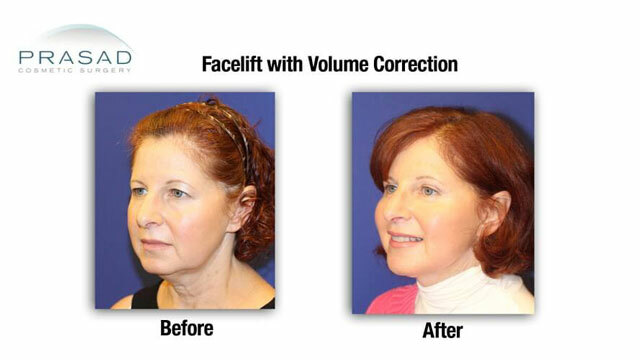 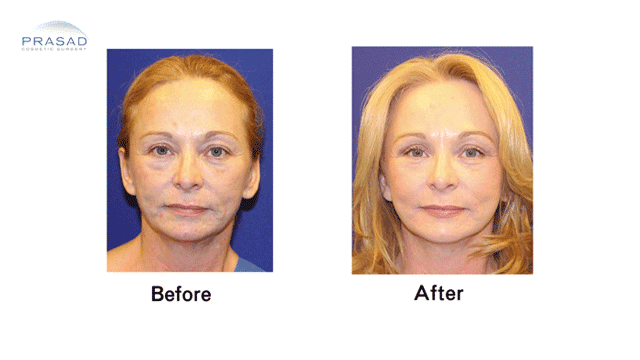 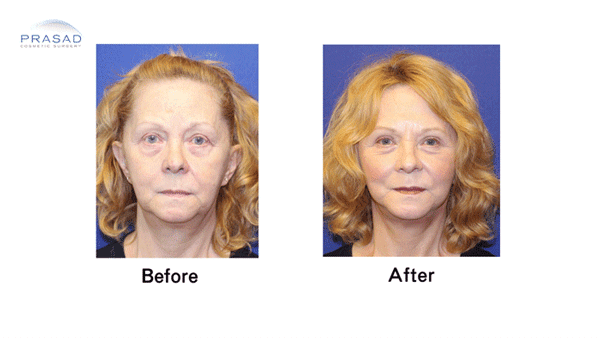 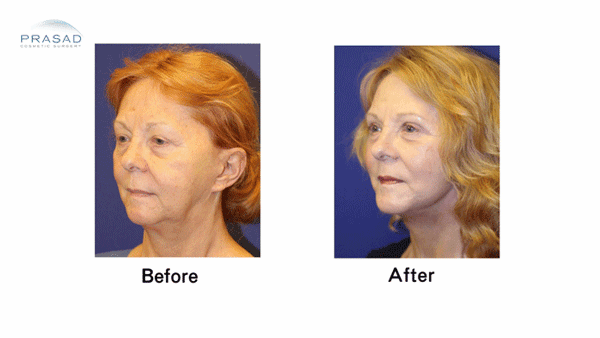 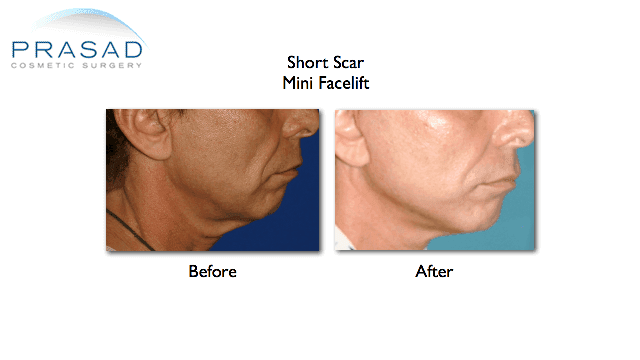 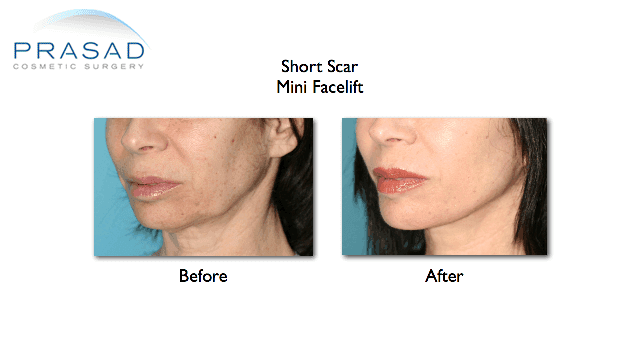 A facelift is sometime combined with a neck lift and Blepharoplasty (eyelid surgery) as needed.